i just love finding treasures where you least expect it. driving back from a wedding weekend upstate (congratulations again jen and michael! ), we stopped for gas in downsville, new york. i wasn't even going to get out of the car until i saw the sign - gizmos and gadgets. could be good, could be really bad. it was all of those things: just one of those stores where time stood still and the merchandise piled up. it's hard to describe exactly what they were selling, or weren't selling. my heart skipped a beat when i saw the craft section. there was not a single item manufactured after 1969. my prize haul included some oversized wooden macrame beds and a handful of pre-painted doll heads - including one for a cat doll. sold! 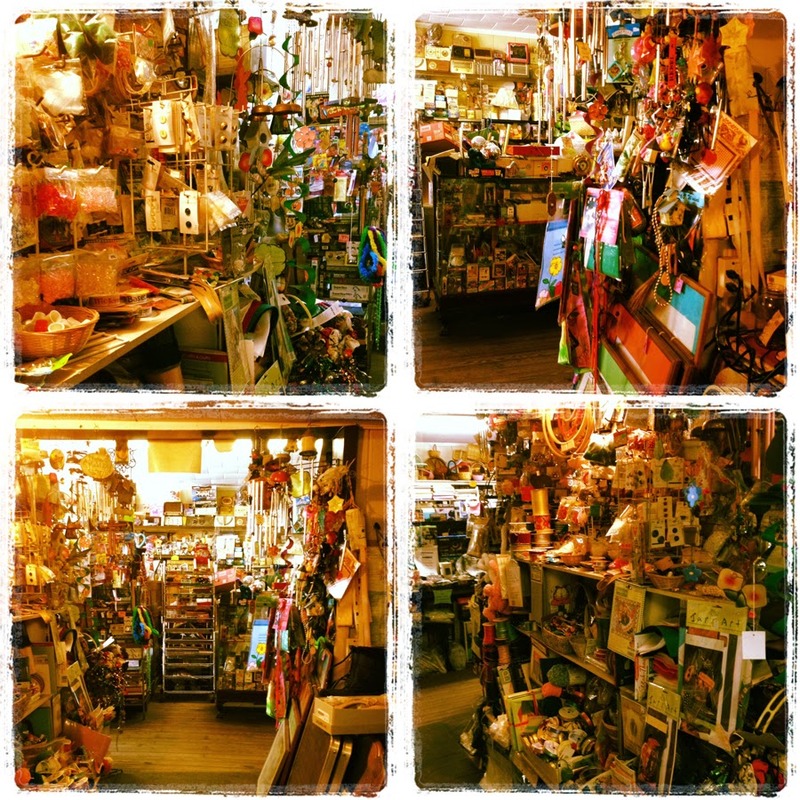 Looks just like the kind of shop that I would love to get lost in! Home Entertainment Gadgets - Home entertainment gadgets are also widely available such as DVD players, home theater system, LCD televisions, mini projectors, and gaming consoles. This is really helpful article. Thank you for the valuable information. This article is one of the best article on this topic. Amazing article, all the pictures used her are so cute. Whole article has vintage feels to it. Do you always go for a store shopping? i recently noticed that all i do is online shopping so what are your favorite online sites. I was born and raised just outside of Antwerp, Belgium. The nuns at the Catholic school I attended until age 18 still believed that sewing and needlework were good skills for a girl to know (and I agree), in addition to Latin, Greek and science. This great academic education was followed by 4 years of pure creative madness at the fashion department of Royal Academy of Fine Arts. While I never actually worked as a fashion designer (maybe one day), I did work for a long time in the world of trend forecasting, both in Paris and New York. Then the world of home furnishings and interior design beckoned. I have always loved being part of a creative work environment. Once I had children, I realized I very much wanted that creativity around them at home as well. So whenever and wherever I was able to do so, I have always had some sort of craft project going on. I am further inspired by my very regular trips to flea markets, thrift stores and art supply places, where I always find ideas and inspiration for my next project. © vera vandenbosch 2011 - all rights reserved. Simple theme. Theme images by dino4. Powered by Blogger.